Amazing and rare opportunity for owner occupant or investor to own anywhere in the Metro Area for just under 100k! 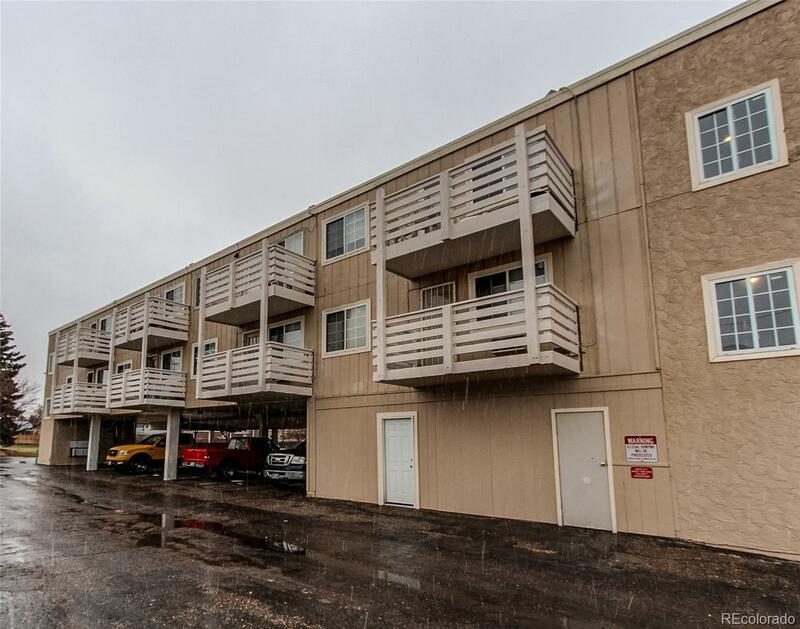 Very easy accessibility within minutes to the light rail, Anschutz Medical Campus, 6th, Colfax, 225, 70, Buckley Air Force Base as well as just 15 min from Downtown Denver and DIA. Good condition overall including laminate wood flooring with large living room and bedroom space. Corner unit with no one below you! Also Enjoy reserved covered parking and south facing Balcony! Tons of additional street parking as well! HOA includes everything...water, trash, heat, snow removal, pay only small electric bill.